Last year we experienced an unprecedented cold and flu season. The CDC reported an early flu season and much higher than expected rates of hospitalizations for the flu. It is never too early to start preparing your home and workplace to prevent the spread of this viral and infectious, but also life-threatening, illness. These tips can help prevent you and your family from catching the virus. Flu-related viruses can live outside the body for a long period of time, which is why it’s important to disinfect surfaces in your home and workplace. Germs are everywhere and disinfecting works by using chemicals to kill germs on surfaces or objects. This will decrease the spread of germs and subsequently reduce the risk of infection. The CDC suggests daily sanitizing surfaces and objects that are touched often, such as desks, countertops, doorknobs, computer keyboards, hands-on learning items, faucet handles, phones and toys. The flu is a very contagious disease so it’s important to stop the spread of the related viruses. Washing your hands can help limit the spread by killing some of the viruses and thus decreasing your risk for infection. Wash them with warm water and soap for 60 seconds or longer as your best way to avoid germs. Make it a habit to wash your hands regularly at work and at home. Keeping nutritious food at your home and workplace and eating balanced meals can strengthen your immune system. With a healthier immune system, you will be better equipped to fight off infections and actually decrease the risk of getting sick. Eating balanced meals and a diet rich in fruits and vegetables can strengthen your immune system and help you avoid the risk of catching the flu. Getting vaccinated will overwhelmingly decrease the risk of getting the flu this cold and flu season, thus keeping your home and workplace safer environments in general. It’s the best defense against the flu, and getting it early can help decrease the chance of you getting sick. According to the CDC, it’s best to get vaccinated before flu begins spreading in your community. The flu vaccine takes at least two weeks to become fully effective, so getting the shot early is highly recommended. Crowded waiting rooms can expose you to other people’s germs along with spreading yours. To avoid these spaces and get the treatment you or your dependents need, consider using a telemedicine service to avoid the waiting room altogether this flu season. 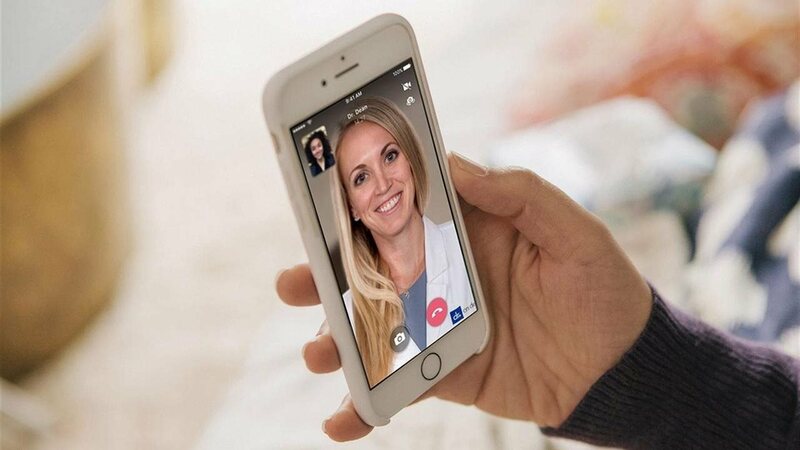 One virtual care provider is Doctor On Demand, which has board-certified physicians available around the clock. The average wait time to see a Doctor On Demand physician is typically less than five minutes, compared to the three-week national average wait time to see a primary care physician. 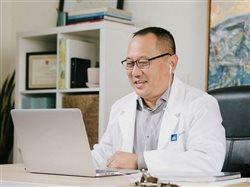 Through video technology, physicians can diagnose and, if needed, prescribe medicine through the convenience of your mobile device, tablet or desktop computer. To access, download the free app (iTunes or Google Play) or create an account on the website. The service is covered by many insurance plans and employers. Enter your insurance information to find out your co-pay. To learn more about using Doctor On Demand, visit www.doctorondemand.com. These tips can help prevent you and your family from catching the flu virus. Disinfect: Disinfect surfaces in your home and workplace. Wash your hands: Wash with warm water and soap for 60 seconds or longer as your best way to avoid germs. Eat healthy foods: Keep nutritious food at your home and workplace and eat balanced meals to strengthen your immune system. Get vaccinated: Getting vaccinated will overwhelmingly decrease the risk of getting the flu this cold and flu season. Avoid the waiting room: Crowded waiting rooms can expose you to other people’s germs along with spreading yours. To avoid these spaces and get the treatment you or your dependents need, consider using a telemedicine service like Doctor On Demand to avoid the waiting room altogether this flu season.